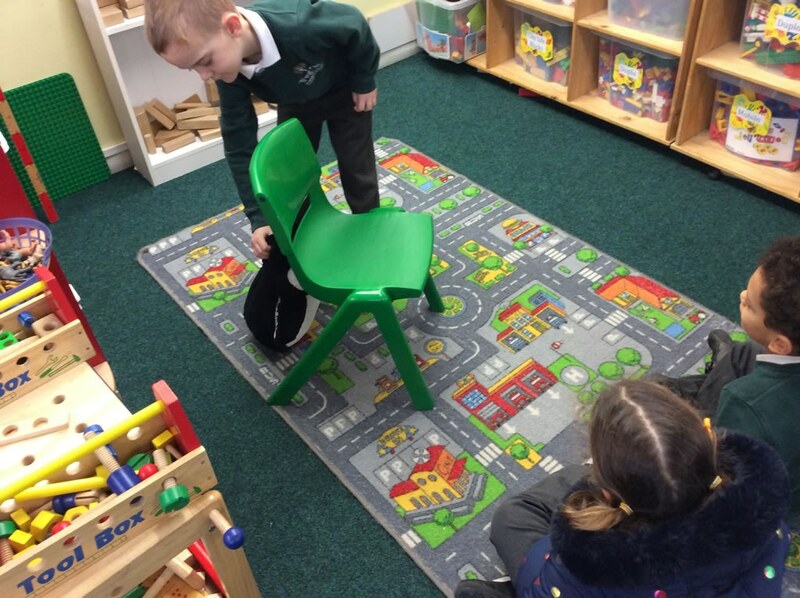 This week we have been investigating drama in our Literacy lessons. We have recreated our own story based on the book Poles Apart by Jeanne Willis and have had a great time visiting new countries and role playing the characters in the story. In Mathematics we have been working on making 10 as part-part- whole. 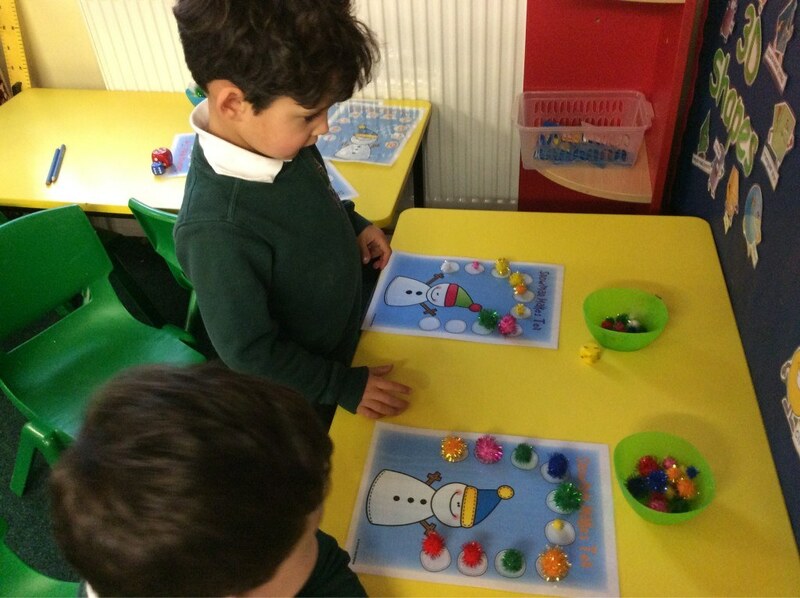 We have used our winter mittens and snowflakes to find two numbers that make 10 and played the making ten snowman game using the dice. 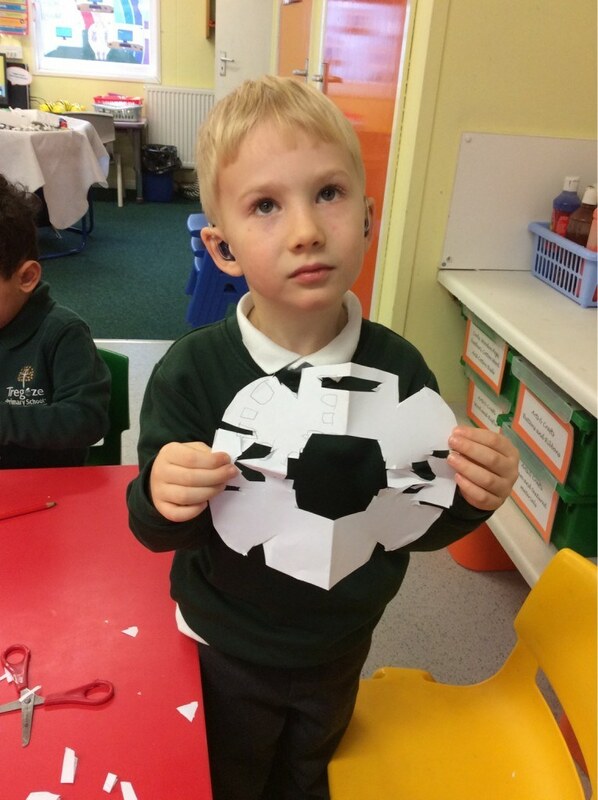 We have also built beautiful 'snow' castles using our 3D shapes. 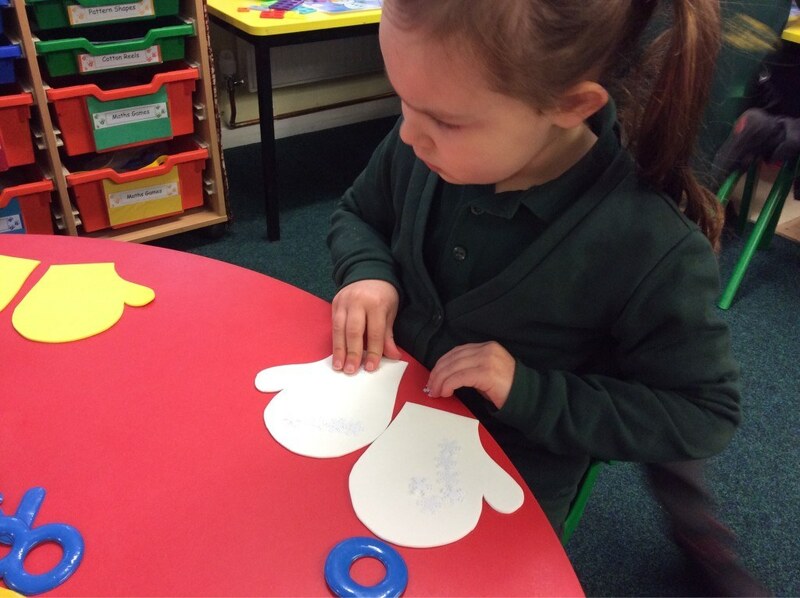 We have also continued to develop our fine motor skills by Threading Polar animals and cutting snowflakes. The children are fascinated by the topic and cannot wait for a bit of real snow! 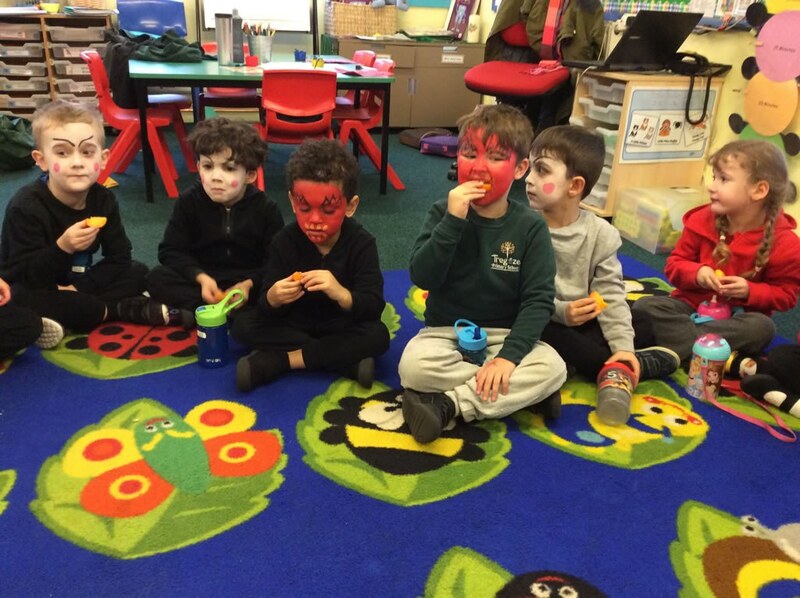 In the gallery below you can see photos of the children doing their child initiated activities. 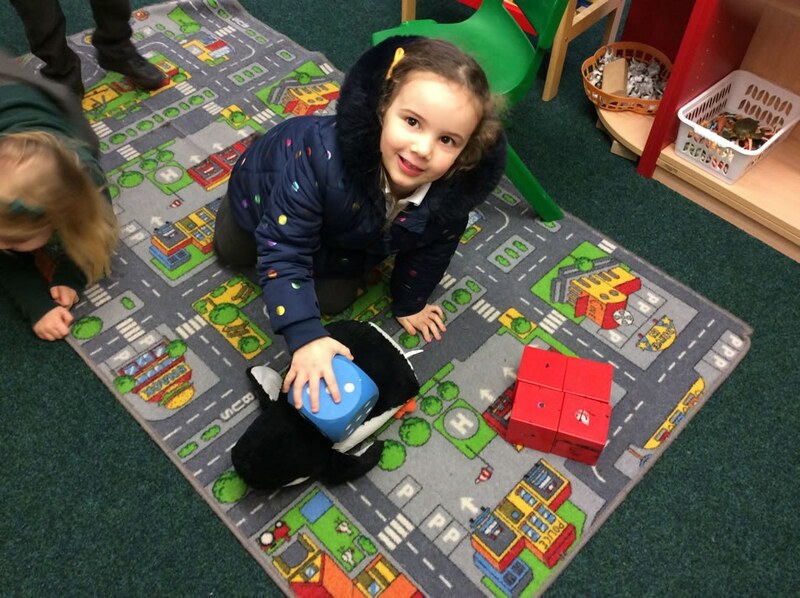 It was a chilly week inside and out this week as Reception continued their work on Polar Regions. We listened to the Story “Ponko and the South Pole”. This delightful story follows Ponko the Penguin and his friend Joey Bear as they stow away on a sledge to take part in the Great Expedition to the South Pole, munching expedition biscuits and chocolate raisins as they go. Disaster strikes when they fall off the sledge and it looks like the pair will never reach the South Pole. But then Sid Skua comes to the rescue. This story is based on the real toy Penguin Ponko who belonged to Antarctic explorer Herbert Ponting. We created a story map of all the events in the story and the children have been retelling the story and writing about their favourite parts. 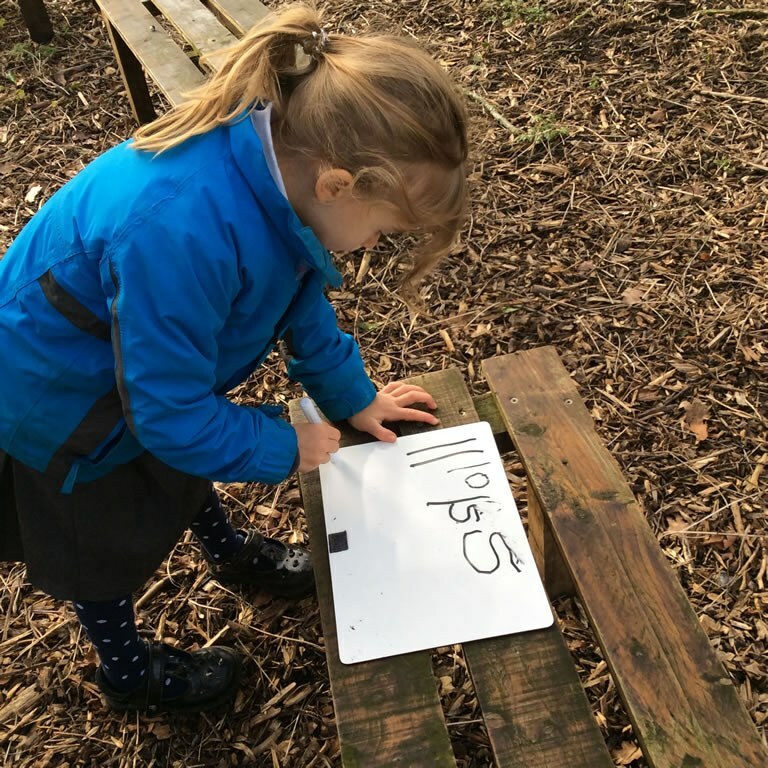 In the role play area (now a Polar research centre) the children have been observing a whole range of polar animals, carrying out surveys and writing about the animals they have seen! 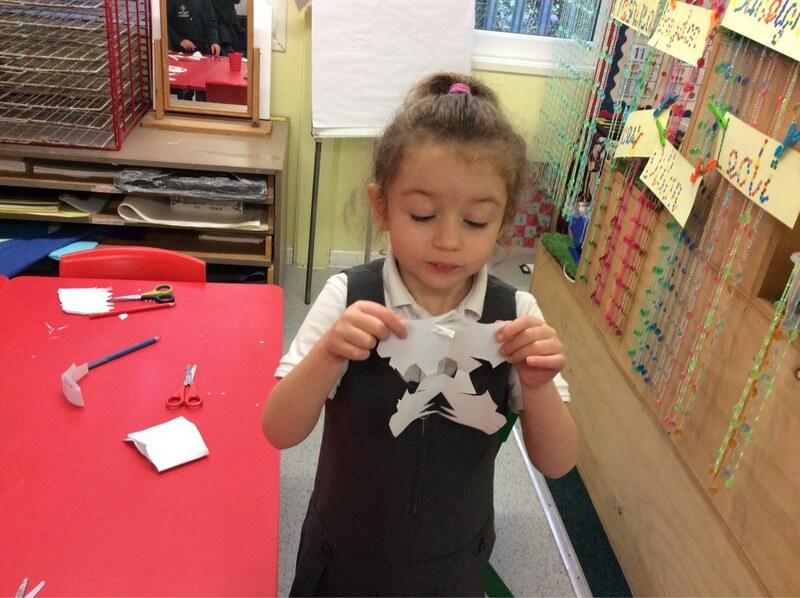 In the construction area this week, using Lego, Mobilo, Duplo and Popoids, the children have been designing and making a range of polar creatures, both real and imagined. In Maths this week we continued our work on part part whole. We looked at how numbers could be broken down into different parts which add together to make the whole. For example how 6 can be made of the parts 3 and 3 as well as the parts 4 and 2 and so on. We also used 2 tens frames to begin building numbers beyond 10. For example the number 11 is one complete ten frame and one dot filled in on another frame. When this is recorded it begins to explain the value of the digits and place value of 11. On Thursday there was a very sharp frost. 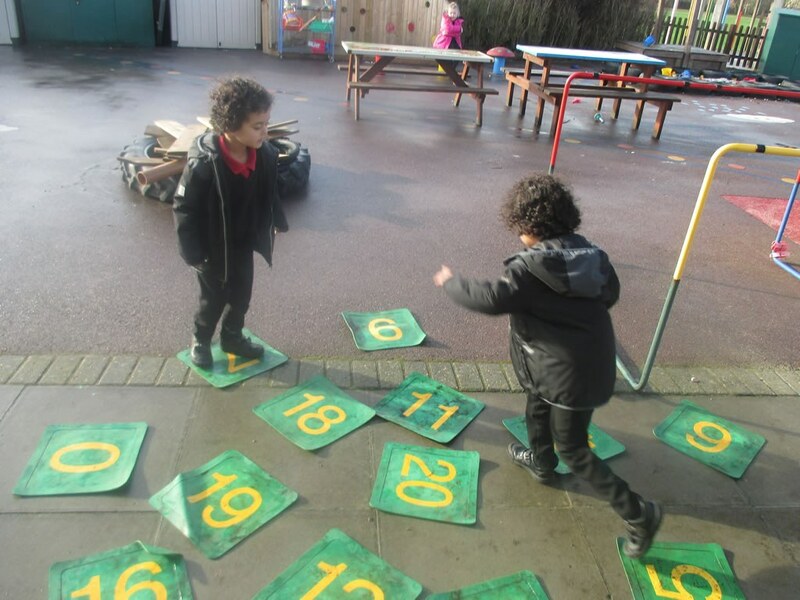 The children were very excited to see how ice had formed on the water trays outside. We explored the trays where sticks, leaves, toys and even a pair of gloves were embedded in thick ice. 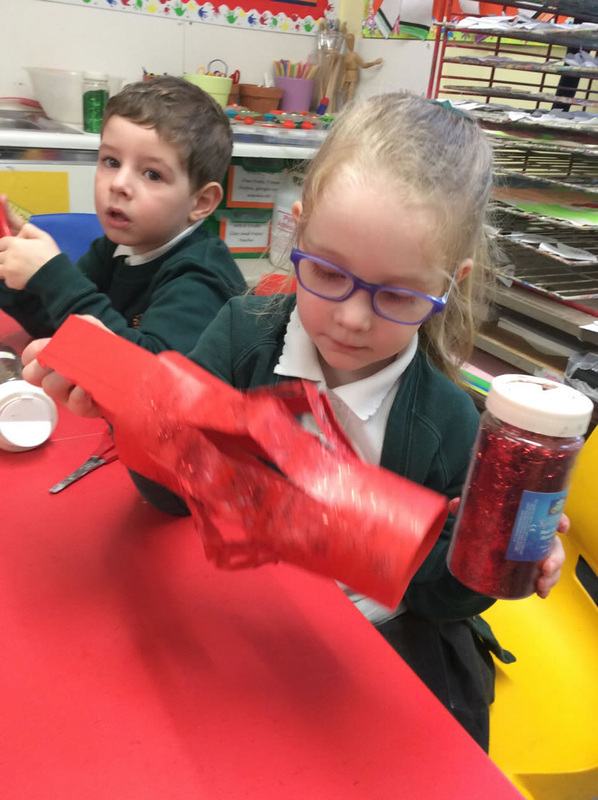 The children had fun trying to release the items from their icy homes! Some of the ice was very thick – we even had an almost perfect ice jug! It was great to see the children cracking and trying to melt the ice and learning about its properties until their hands got too cold! I know they are all very excited to see the snow that is forecast for the end of the week! This is how to say Happy New Year in Mandarin Chinese. 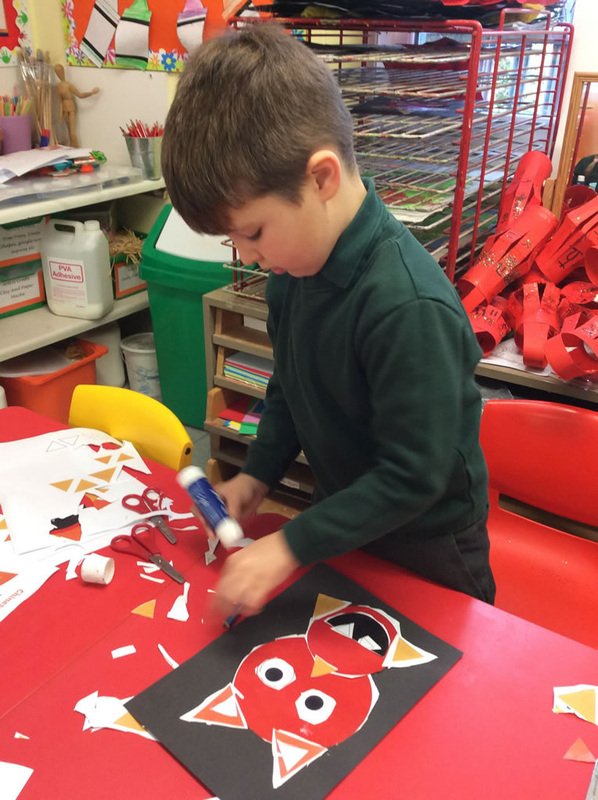 In Reception we have been learning about Chinese New Year. 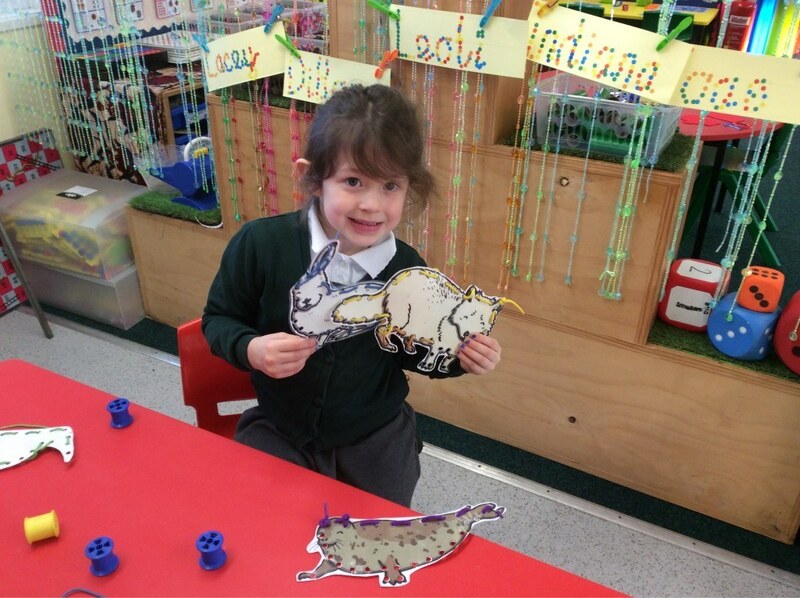 We heard the story about the animals who had a race. The placings in the race became the order used to name each year. This year is the year of the pig! The children have listened to stories and watched videos and presentations to learn about the traditions associated with this festival. The children have looked at Chinese writing and numbers and they had a go writing some of these characters (letters) and numbers. We looked at the characters needed to write positive words such as peace, happiness and love e.c.t. We have also made red lanterns decorated with these words in Chinese script. We learned about the practice of exchanging lucky red envelopes as a New Year gift. These can be filled with money or positive messages. Some of the children created their own envelopes and made messages to put in them. We discovered that in China, at the New Year, children tie wishes to a tree called the Wishing Tree. The children have all chosen and written the wishes they would tie to the tree. Dragons are a huge theme running through the Chinese New Year Celebrations. Dragons are thought to be lucky and are a symbol of good health and wisdom. We a watched a video of a traditional dragon dance. 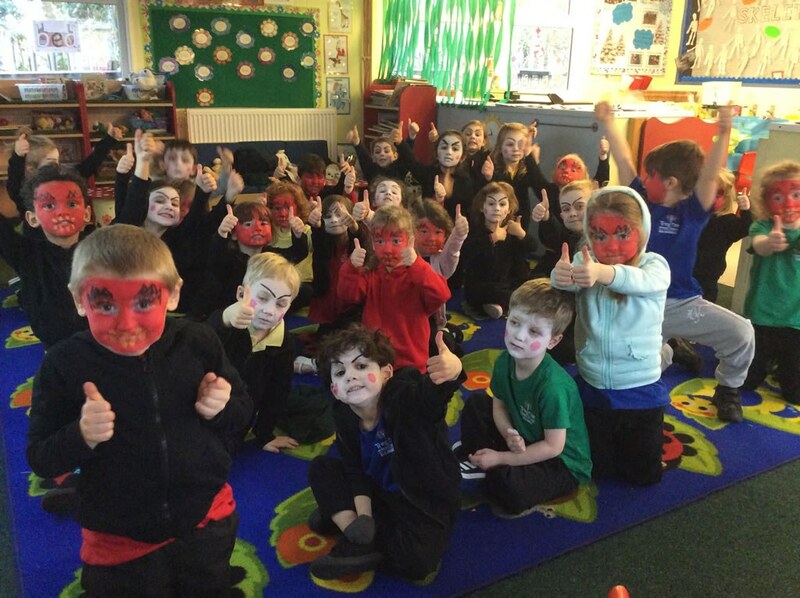 Afterwards the children had their faces painted as dragon dancers and did a dragon dance around the playground! 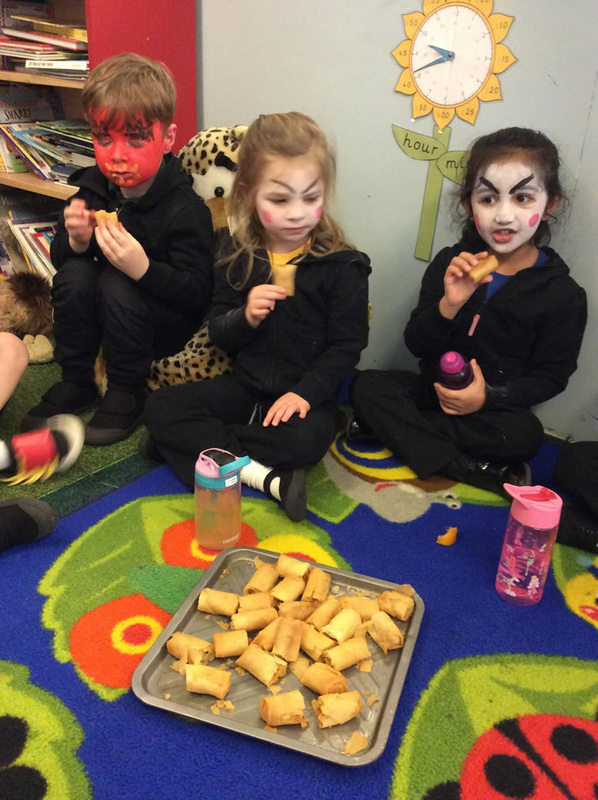 This made the children work up quite an appetite and we were able to taste some traditional Chinese food of spring rolls and dumplings! Yum! Yum! In ICT on Thursday the children were able to use the iPads to create firework pictures and to decorate a Chinese fan using the Purple Mash program. 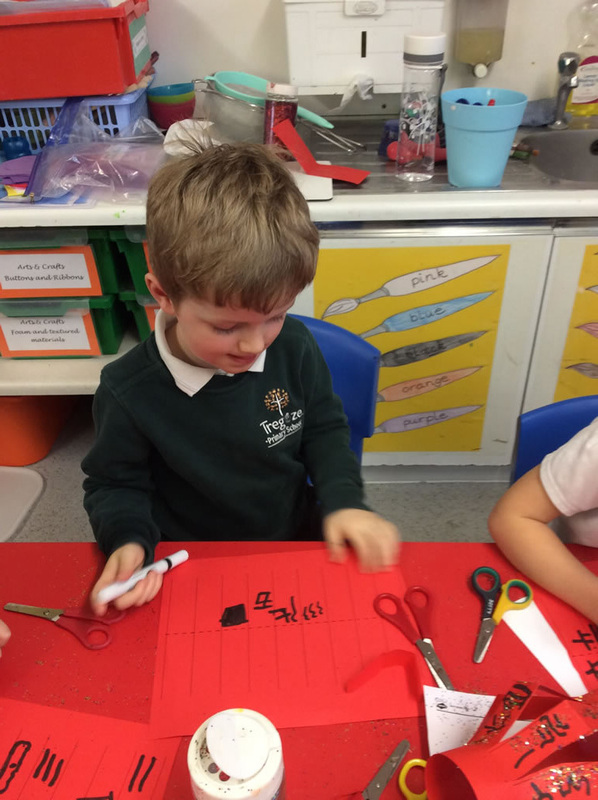 In Maths this week we have continued to look for addition patterns within numbers. So in 4 you can see 3 and 1 as well as 2 and 2 and so on. 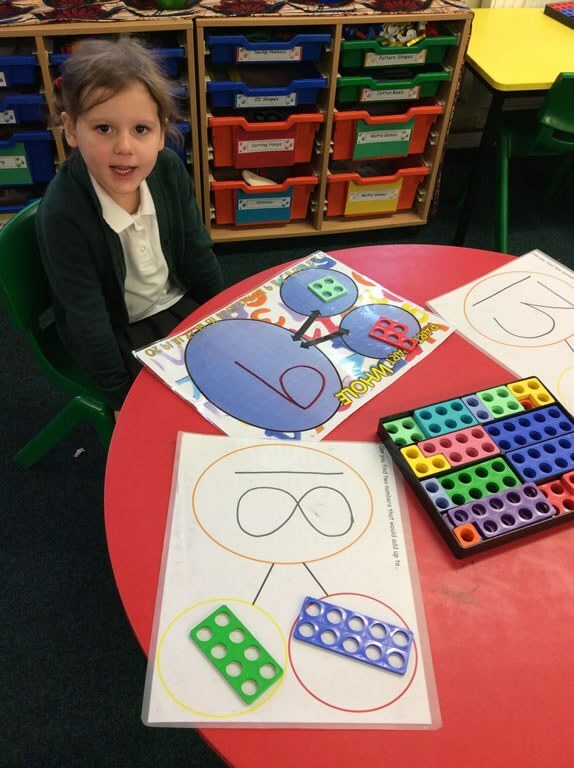 The children have also been using the tens frames to create numbers up to 15. For this they used 2 tens frames ensuring that one was completely full and counting on the extras to make 11, 12 ,13,14 and 15. This is beginning the concept of place value. The children have begun learning the songs for the Early Years Music Festival. We are performing in this event in March. All the songs are about people who help us. We are very pleased with how quickly the children are picking up the songs and actions. Patch the dog has gone home with Emily- we look forward to hearing about their adventures together! The Effort cup this week has been awarded to Calleigh. Well done! 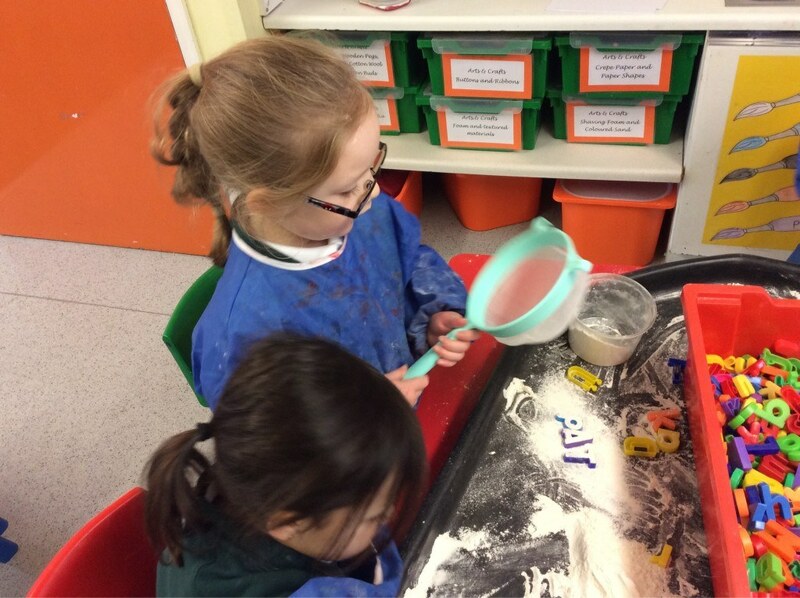 We have had another very busy week in Reception. We have covered lots of Maths this week where in Number we have continued with the part whole work. 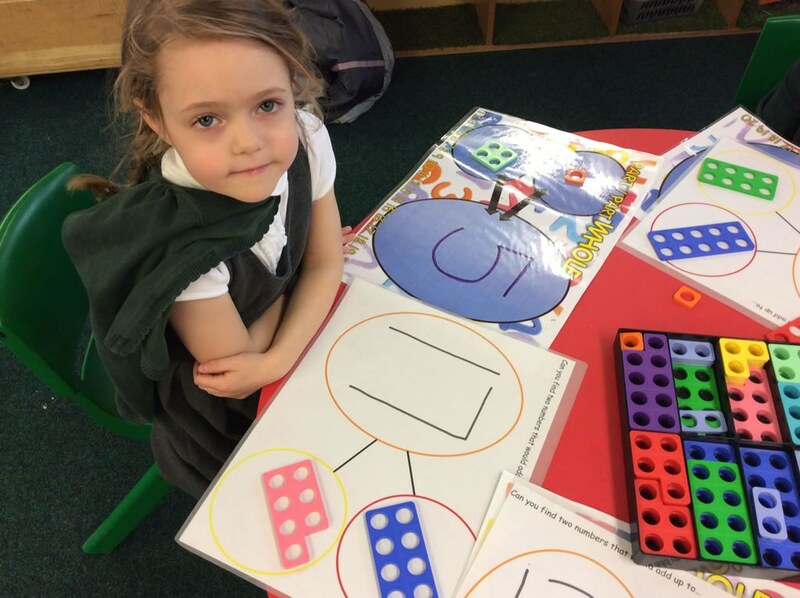 The children used Numicon to represent numbers and their component parts eg separating 8 into 5 and 3 or 15 into 10 and 5. 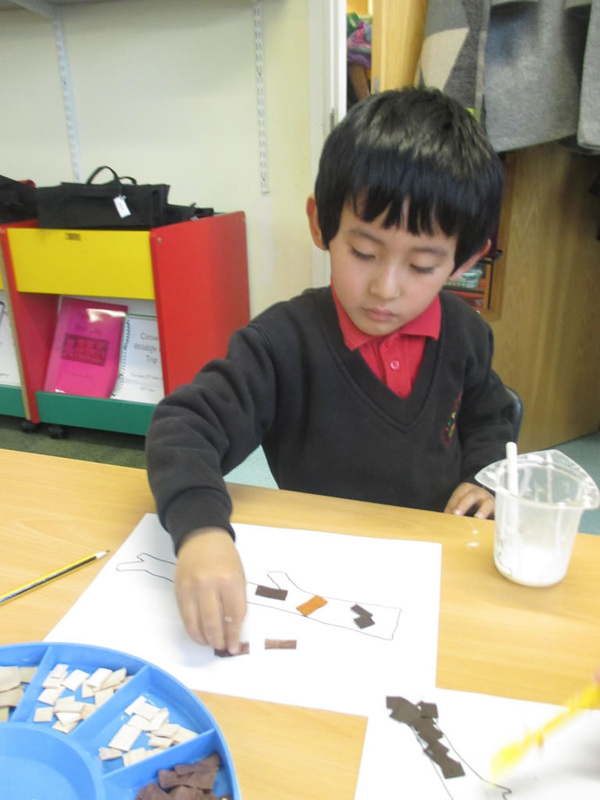 We have also done lots of work on counting and estimating. Estimating is a hard skill and the children worked very hard to think about what makes a sensible estimate. This will need lots more practise! 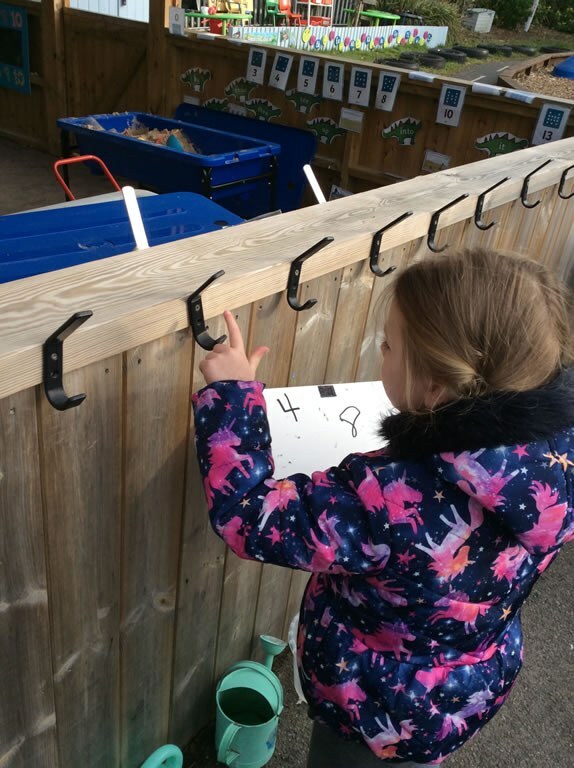 In the outside garden the children worked on counting larger immovable objects such as the railings, pegs and windows. They also worked hard to record the results of their counting. 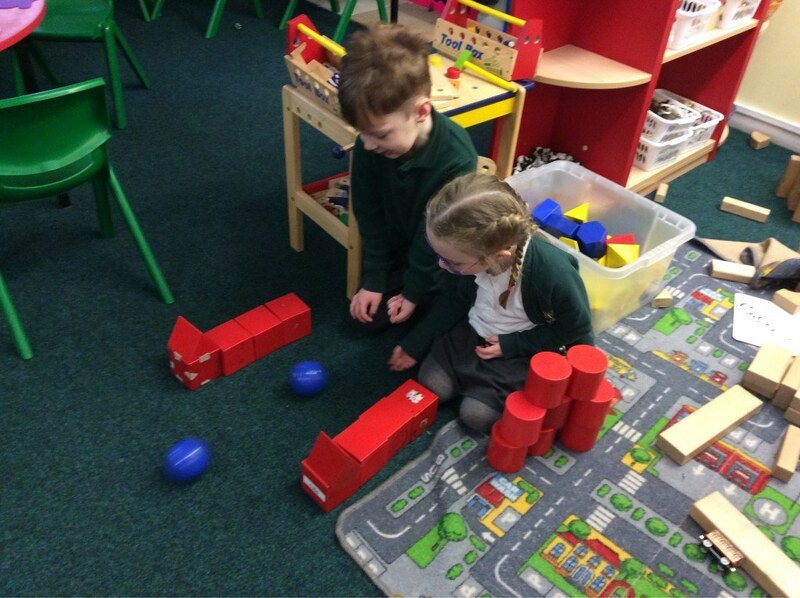 Working with smaller objects inside, the children worked on making 2 sets of different numbers and then combining the sets and counting all the items altogether. 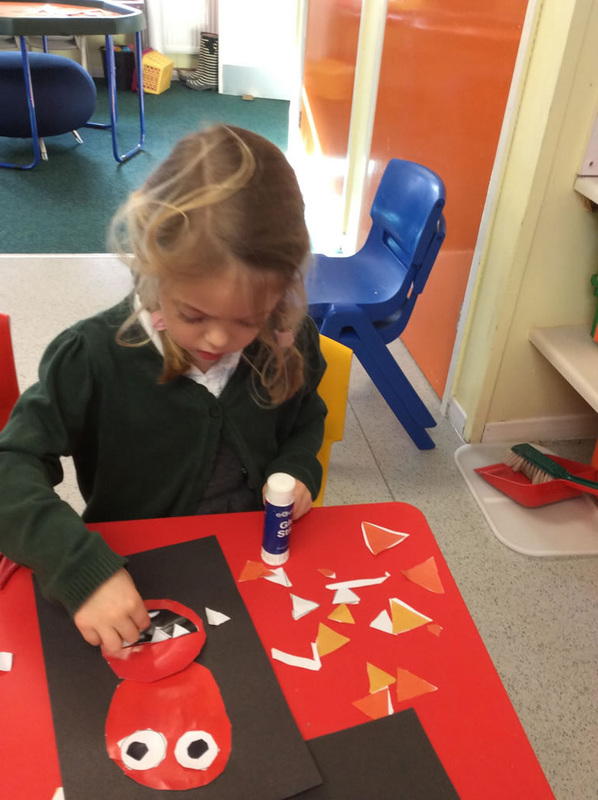 This is an early addition skill and the children need to count very carefully and accurately. In class we discussed who we thought was the tallest child in the class. 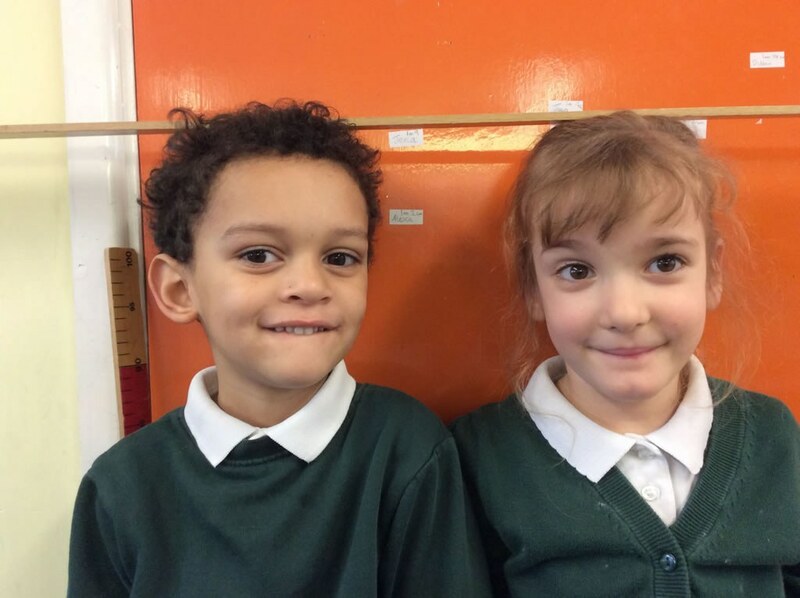 The children did lots of comparing height by standing next to one another. Then using the metre sticks the children compared to see if they were taller or shorter than a metre stick. 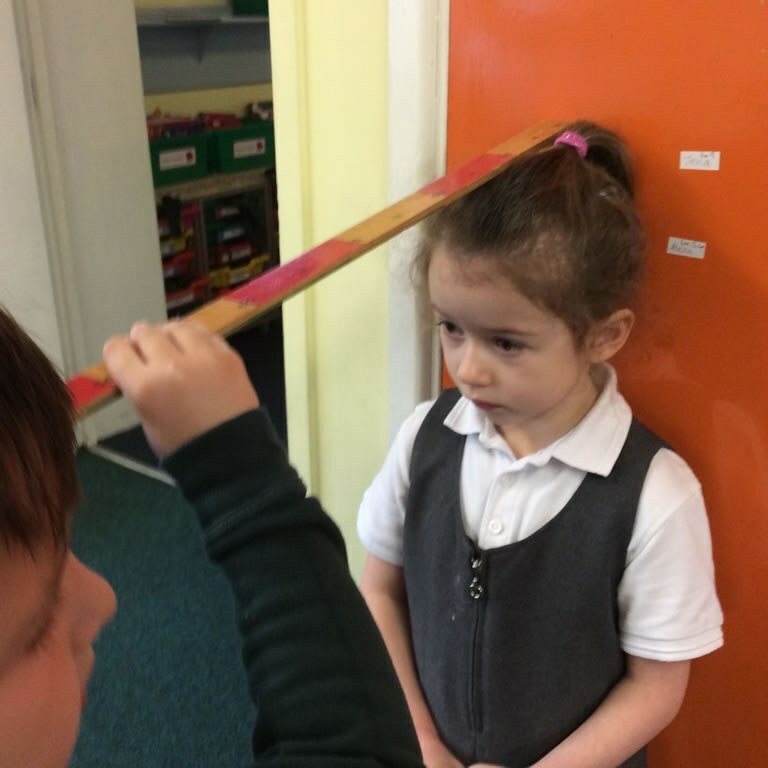 This led on to the children using the metre sticks to measure their heights accurately and comparing the measurements. Later in the week the children moved onto mass and weight. They used simple weighing scales to compare items to see which were heavier or lighter. They had great fun trying to predict what would be the heavier of 2 items and then observing what happened to the scales. We have also been using prepositions this week. 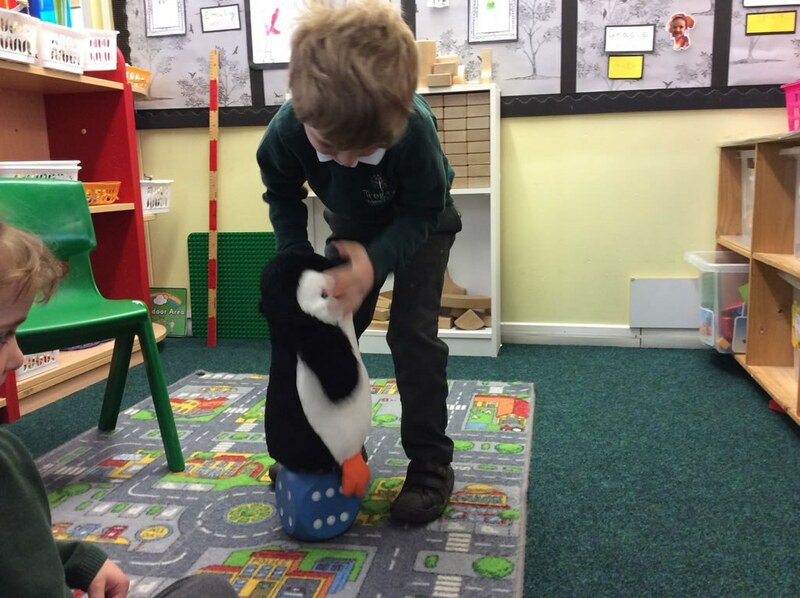 We began with a practical game where children had to listen to a preposition and then place Percy Penguin according to the instruction, eg under the chair, on top of the dice, behind the box and so on. A lot of very valuable mathematical learning and language! The children have been continuing their RE work this week. Our current theme is about special places. 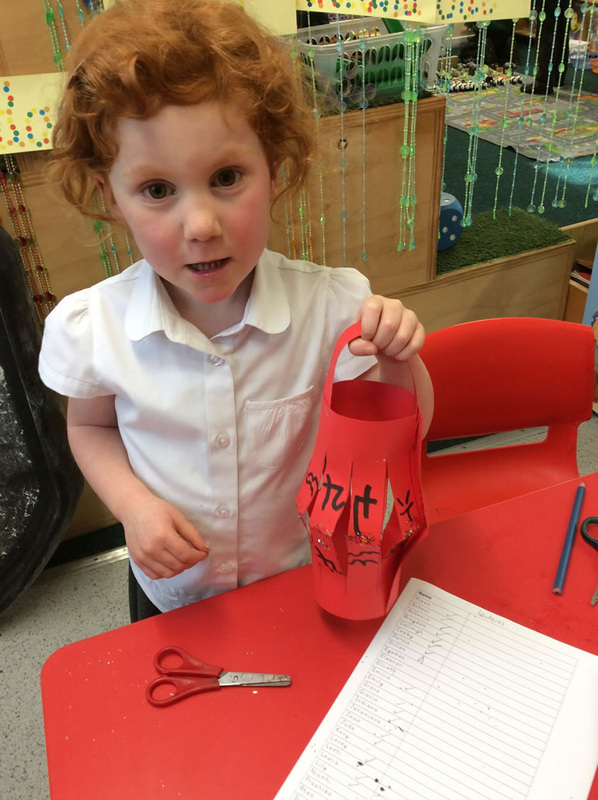 The children have shared their special place in school and at home. We began to look at places of worship this week. 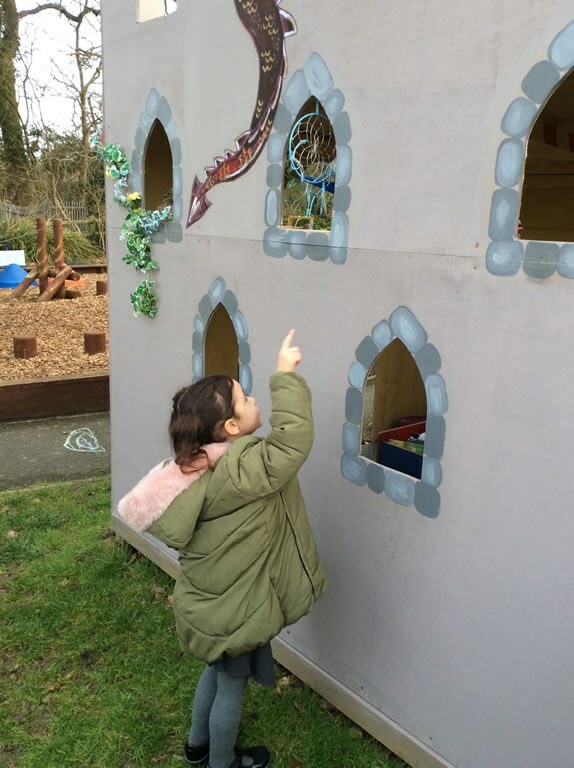 The children are beginning to be able to recognise a Christian Church and a Muslim Mosque. We continue to learn about other beliefs, styles of dress and special places and books. On Thursday afternoon the sun came out for our welly walk to Lydiard Park. It was warm and positively Spring-like. 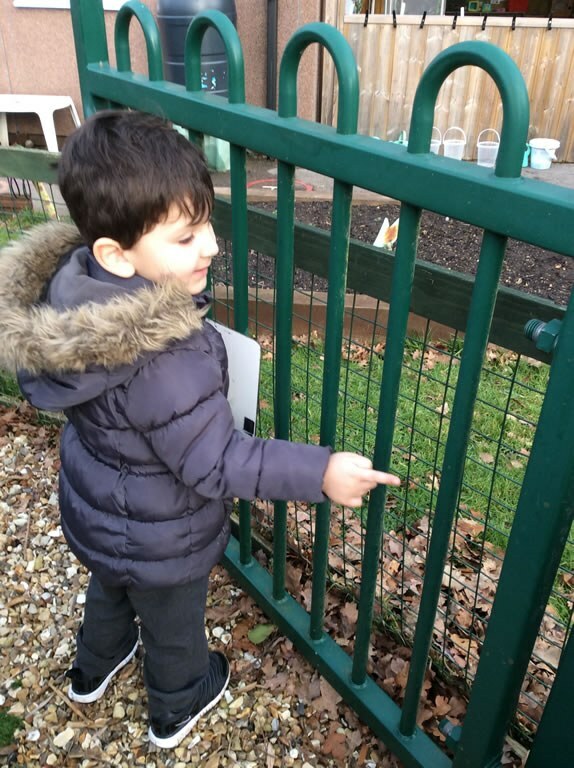 The children were able to look for (very) early signs of Spring including Spring flowers and leaf shoots. It was a lovely afternoon out. Patch went home with Jenavieve for the half term. We look forward to hearing about their half term together! Eleanor was awarded the Effort Cup. Happy half term everyone!